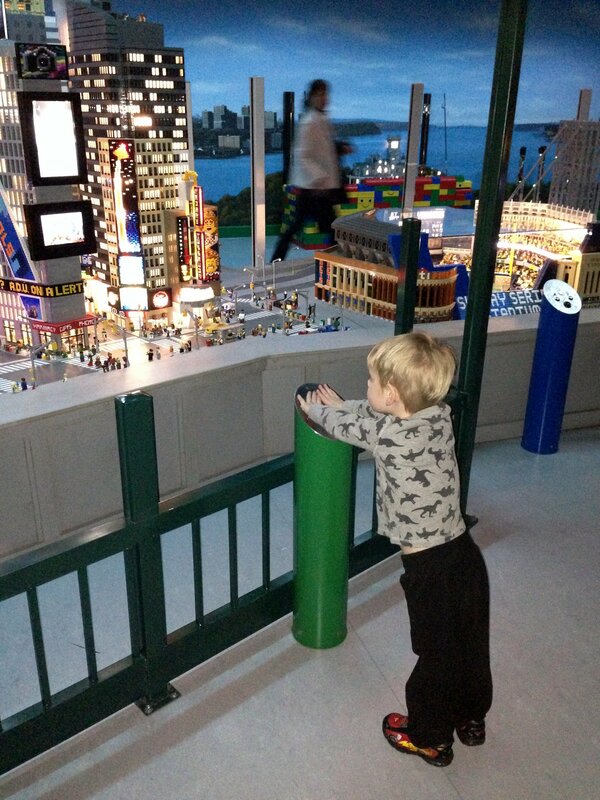 We are so, so excited that a brand new Legoland Discovery Center has opened up in Westchester – the first one on the east coast and it’s 20 minutes from home! Mommy and I got to check it out last week, and you guys? That place is super awesome. 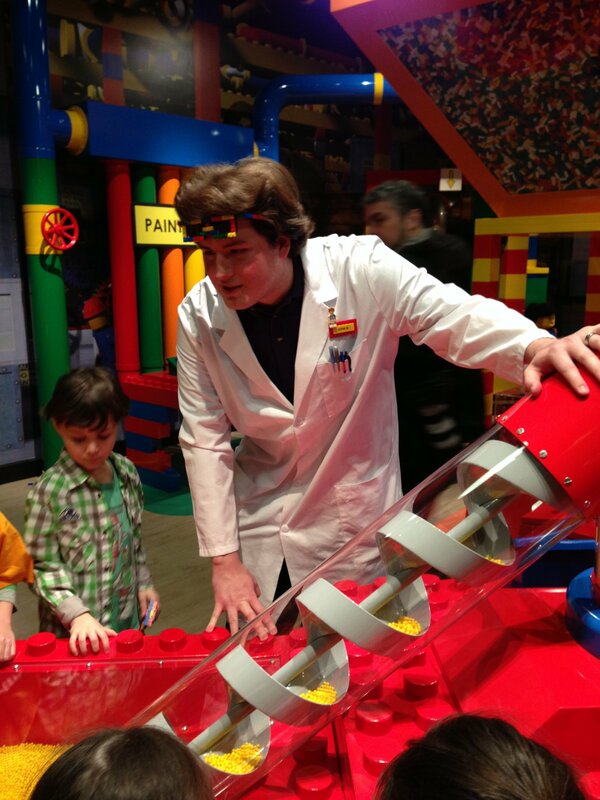 Upon entering the Discovery Center, you get a sneak peek into how Legos are made. Each step has an interactive component, and the tour guide is really funny! The last step is to stomp your feet and clap so the machine produces souvenir bricks. It’s magic! After you leave the tour, you can go on the first of two rides: Kingdom Quest. You have to be 36″ tall, and I’m really glad I *just* make the height requirement – this ride was one of my favorite things the whole day! (Although, *everything* was one of my favorite things.) Kingdom Quest is similar to Buzz Lightyear’s Space Ranger Spin at Disney World; each seat has a laser gun, and you get to shoot the bad guys to rescue the princess and protect the kingdom’s treasure. See the Statue of Liberty? All around the room, there are stanchions with buttons on them to interact with the exhibit. This particular one controls a camera that puts your face on a billboard in Times Square. Be careful – it would be really easy to miss the subway running beneath the city! Okay, so remember how EVERY part was my favorite part? The construction site/fire academy was my FAVORITE! 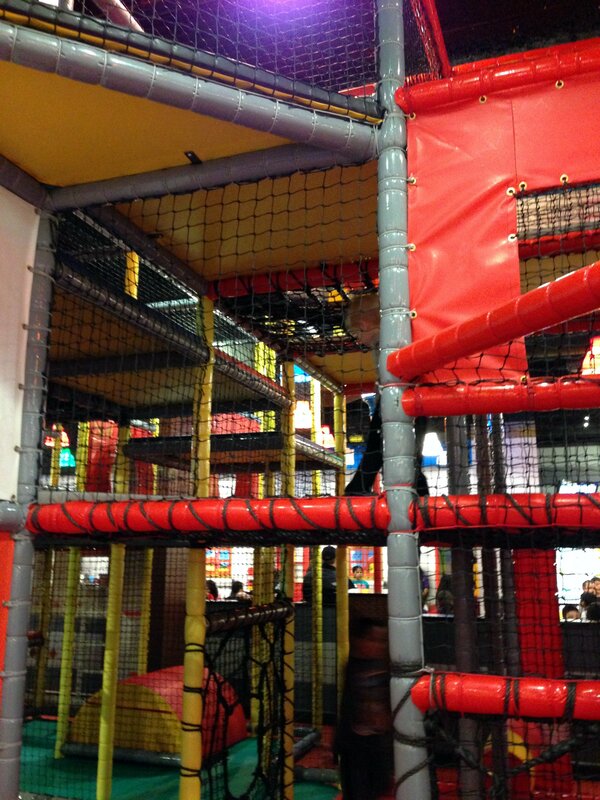 It’s kids only (no adults allowed), and there are attendants inside, but mostly you get to just play on the huge structure all on your own. It has climbing sections and a high, twisty slide, I probably could have spent the whole day in there! 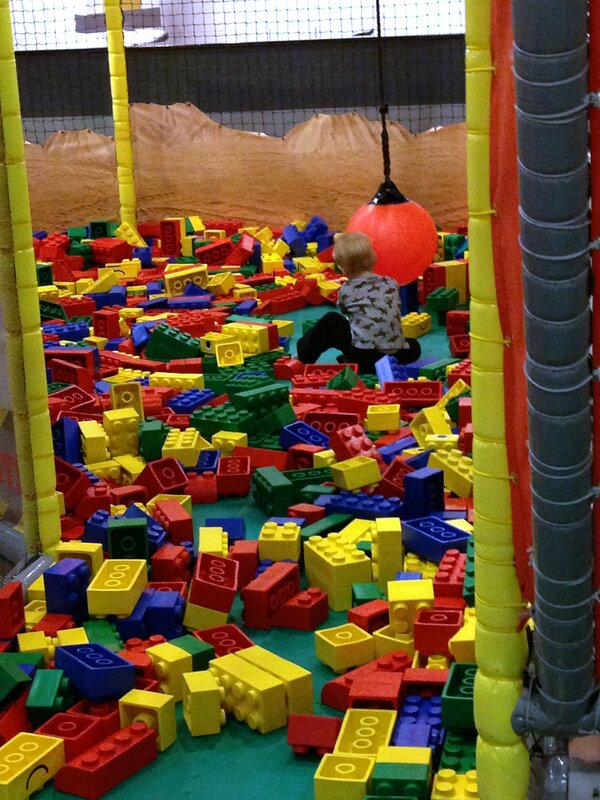 There are also oversized Legos to build with, and a wrecking ball to knock ’em down! 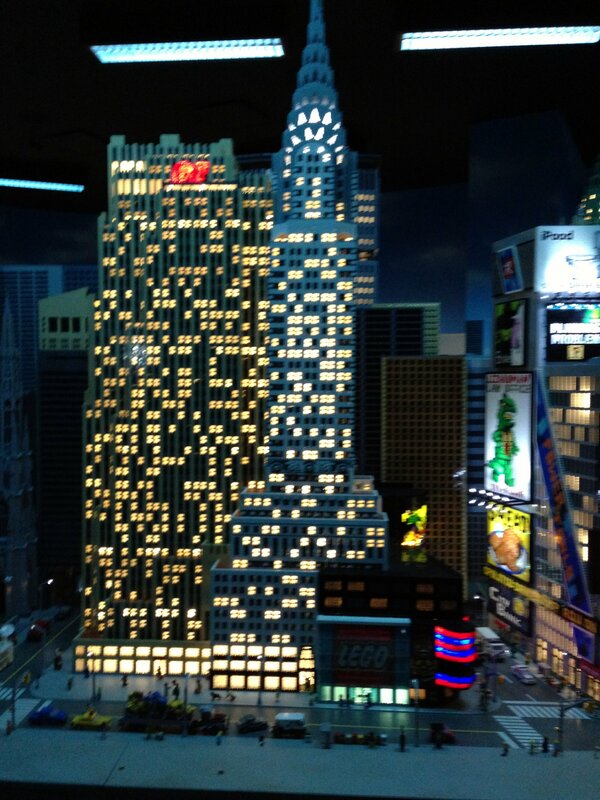 There are really cool Lego sculptures all around. I liked the dog, but refused to pose with the giraffe. Mommy doesn’t know why. Mommy said this is the closest I will ever get to riding a motorcycle. 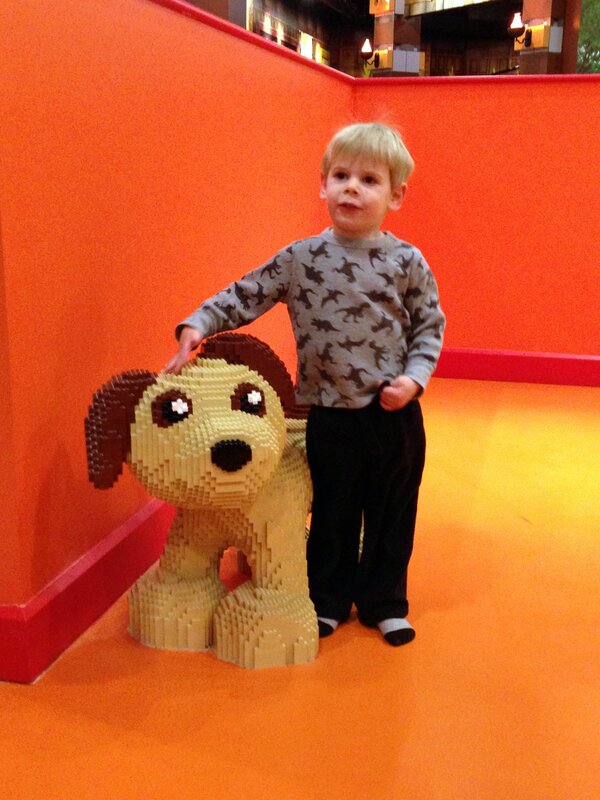 A place called Legoland would not be complete without plenty of Legos around to build with! We had so much fun that we did not even get to everything! 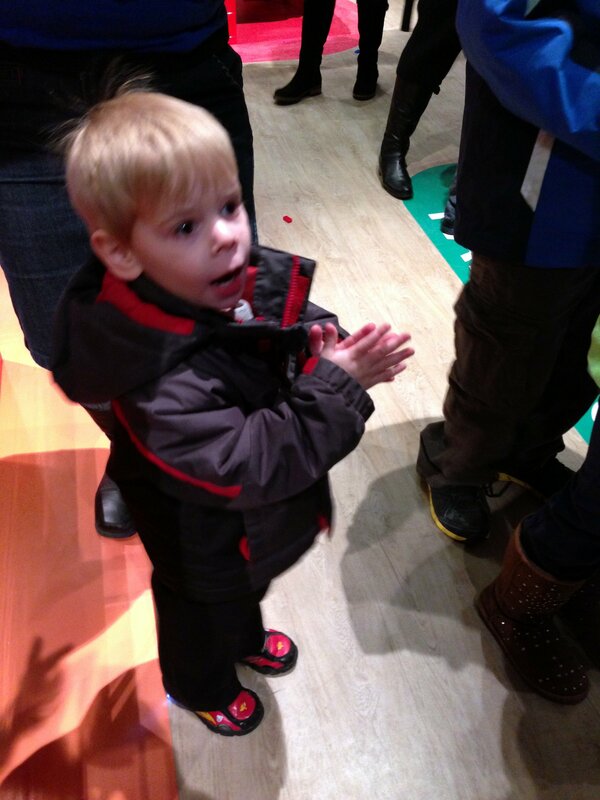 I *did* show off my mad singing skillz at the karaoke mic in the Lego Friends area, but I didn’t spend much time in Duplo Village – I’m too big for that! I’m a little too little to really like the Master Builder Academy or the Earthquake Tables. 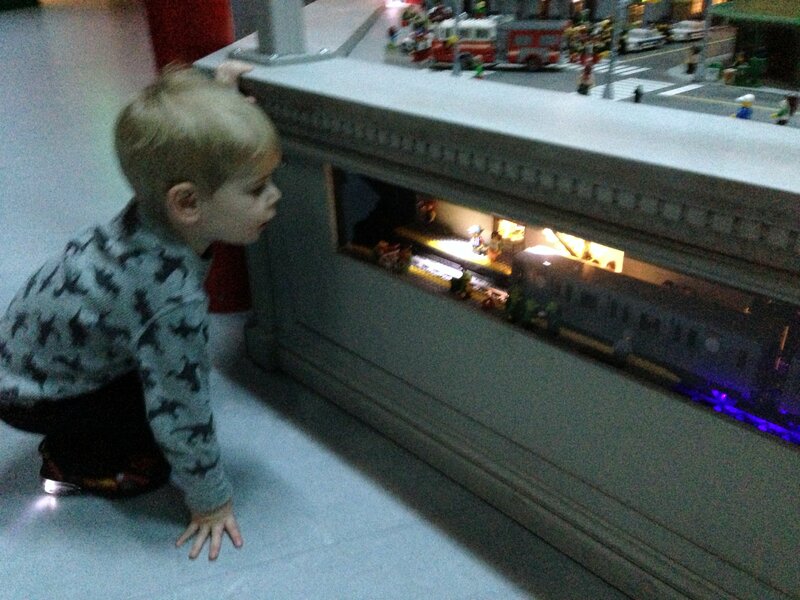 We *loved* the 4D movie, but unfortunately missed out on the Lego Racers: Build and Test area. I can’t wait to go back so I can check it out! Admission is relatively reasonable for a full day adventure: Adult tickets are $22, Kids are $18, and under 2’s get in for free. An annual pass for a family of 4 is $230. 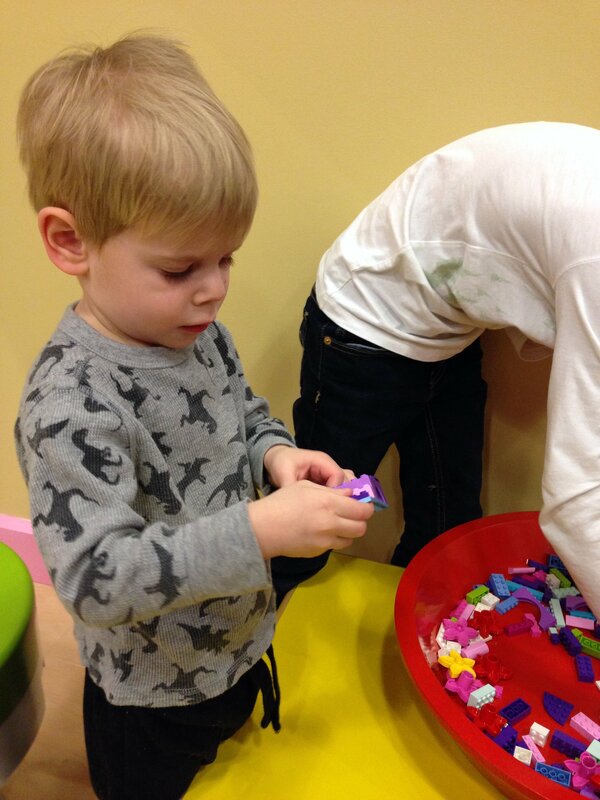 It’s kind of out of our price range to be in our regular rotation, but it would make such a fun mid-winter play date! Mommy and I had a great time! 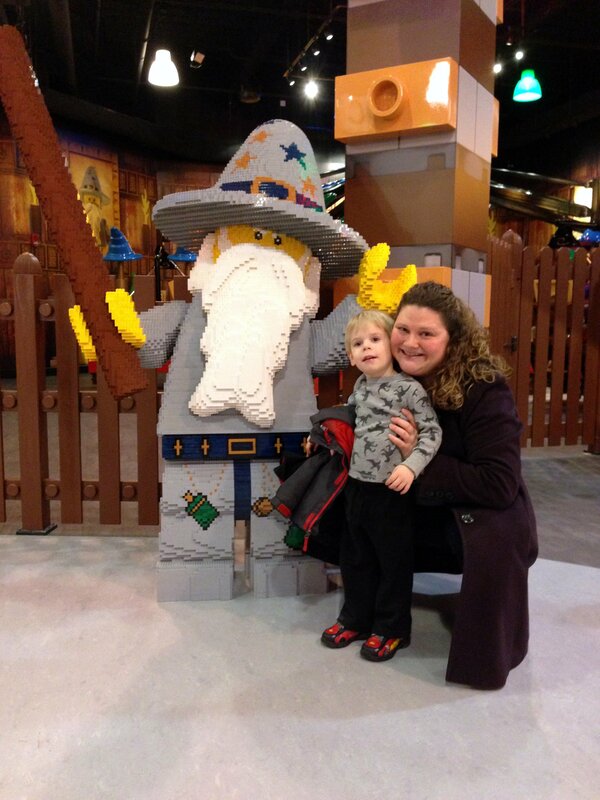 Mommy and I were invited to Legoland as part of a media preview event. We were not required to post a review, but we had SO much fun. 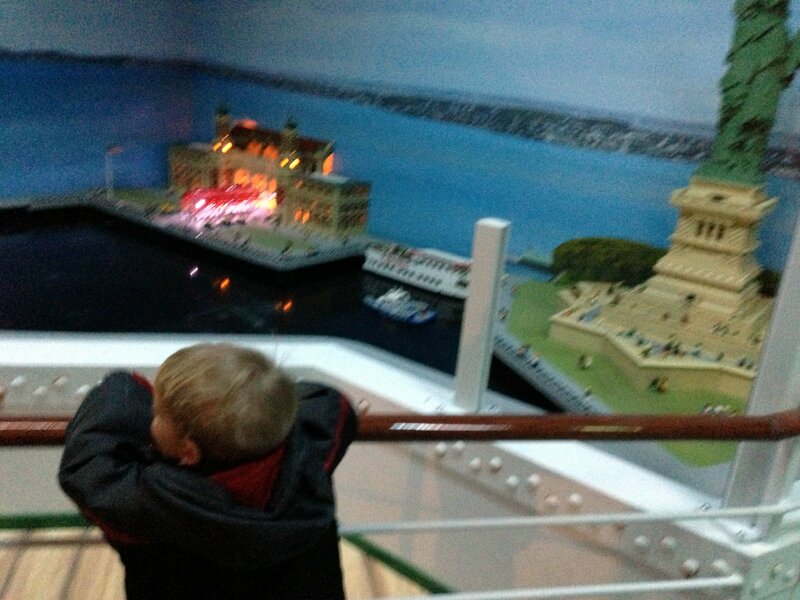 Legoland Discovery Center at Ridge Hill had its grand opening on 3/27, but are currently only accepting tickets purchased online, so be sure to plan ahead if you want to visit! I had NO idea this was there, this so awesome. Ridge Hill isn’t the most convenient for us to get to, but it isn’t bad. I am so excited to take my son now. 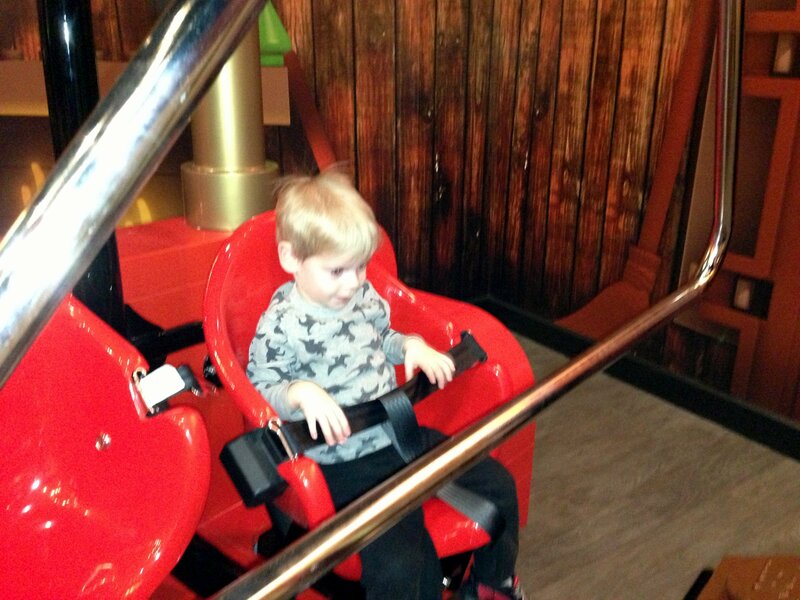 So glad to hear that Cole had a great time. I had no idea you were somewhat local – is the Bronx Zoo doable for you? We could meet up one day! 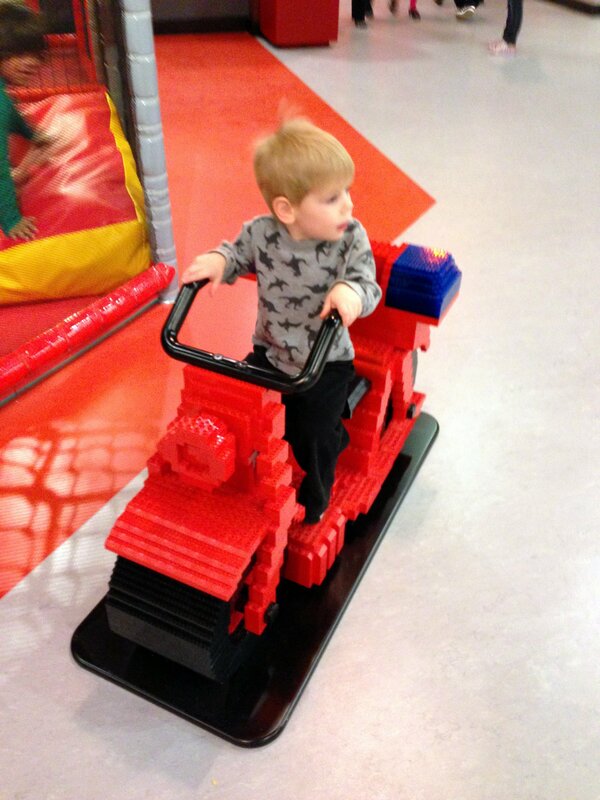 Legoland was super fun.